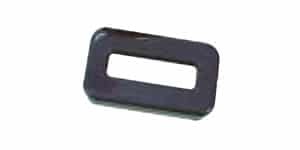 Leg Leveling Grommets Snap securely into square hole in base to receive adjustable screw-in leveling glide. 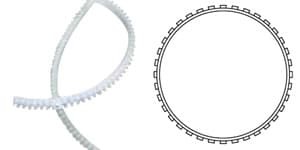 Wire Management Grommets Round and square styles available. 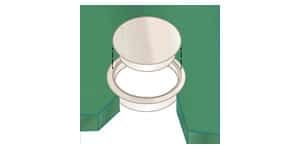 One-piece insert and height adjuster facilitates leveling of furniture or appliances. Paper Feed Grommets Provide decorative finish and smooth access for computer paper slots. 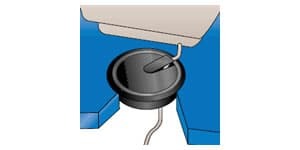 Umbrella Table Grommet & Plug Protects table surface and facilitates insertion of umbrella in hole in table top. Plug provides finished look when umbrella is removed. 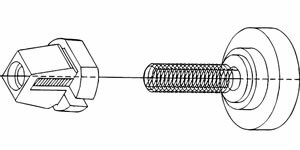 Flexible Grommets Protect and insulate wires which must pass through irregularly shaped and sized holes in sheet metal.